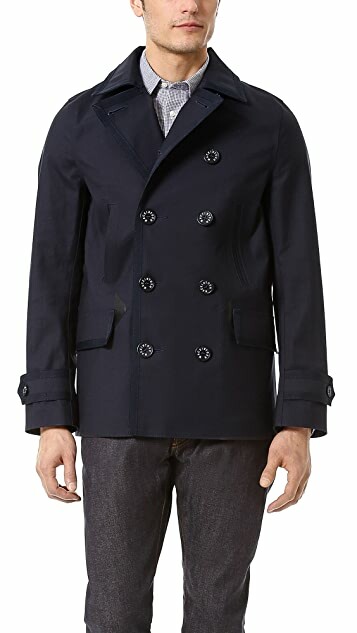 A Mackintosh raincoat with pea-coat styling, constructed using wool from Bliss in Oxfordshire. 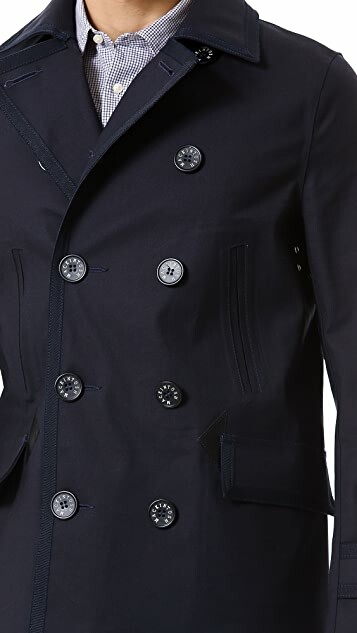 Part of the 104 collection, which adds combines British tailoring with classic rainwear. The double-breasted front has a lay-down collar and 4 front pockets. Pleated back and adjustable cuffs. Underarm vents. Rubber trim. Unlined. 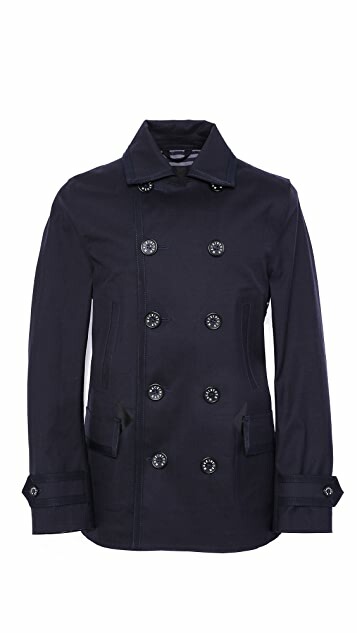 There’s a reason the name Mackintosh has become synonymous with the word raincoat throughout the UK. 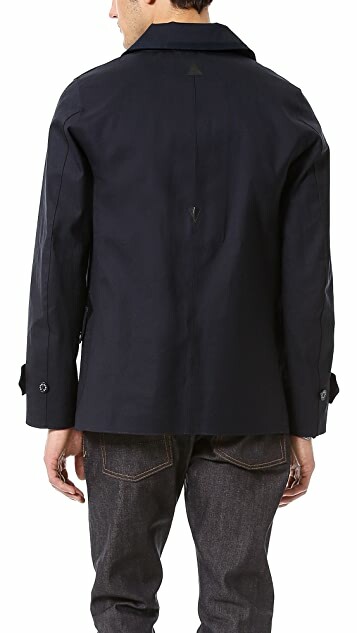 Since Charles Macintosh first created his rubberized fabrics, the Mackintosh jacket has been the go-to wet-weather wear for people who demand functionality. 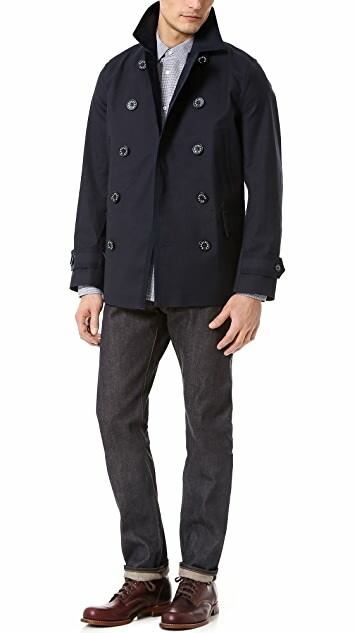 What started out as the coat of choice for riding horses in the rain became the British Army overcoat of choice through two world wars, and is now a mark of traditional British outerwear. The contemporary Mackintosh line is simple and sophisticated, to retain tradition, repel the weather, and maintain the timeless style of each piece.